My father-in-law is such a sweet pal. 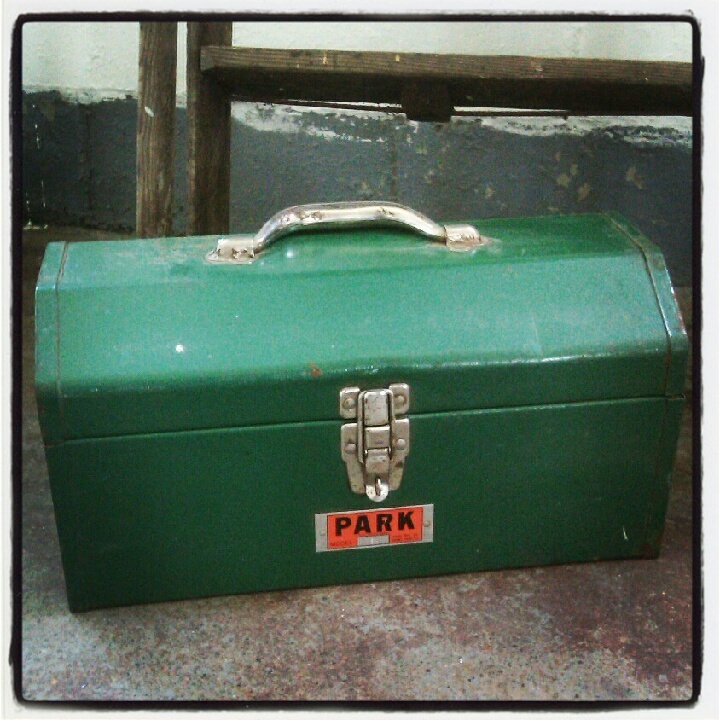 He gathered an assortment of tools he thought greenwater needed and loaded them into this fine metal toolbox for me. It is awesome. Measuring tape, wrenches, socket sets–a vice grip!–treasures, all. The next guy who shows up here with a lawn tractor tire on his hip and looking for a mechanic might just get one!